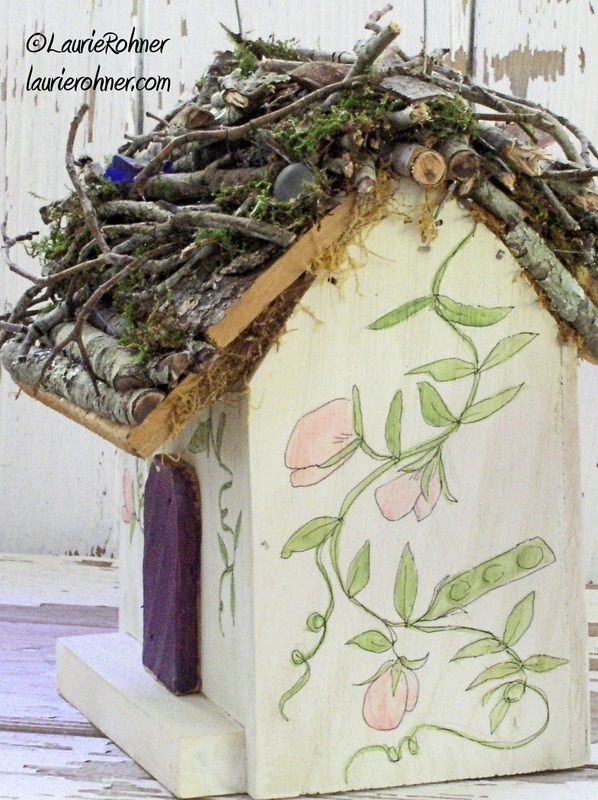 Sweet Pea Fairy House Bird House Hanging Painted Garden Fairy Art Sculpture Between The Weeds by Laurie Rohner. 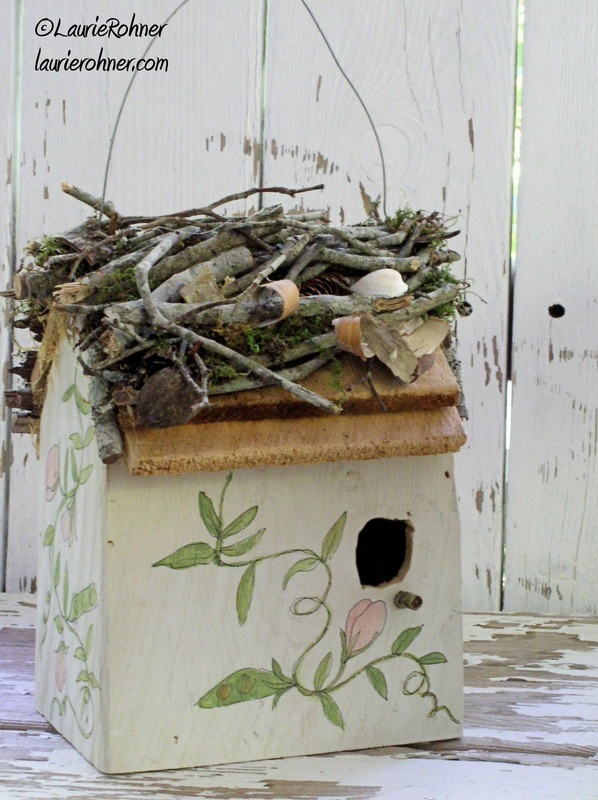 Sweet Pea Fairy House and Bird House ready to hang or stand is a painted garden fairy art sculpture. 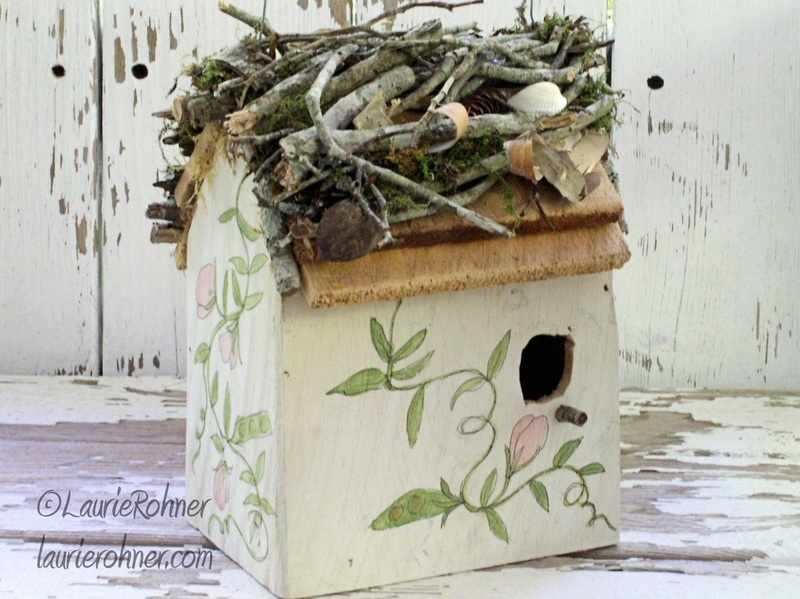 A hanging fairy house or bird house painted with white and hand painted sweet peas adorn the sides. 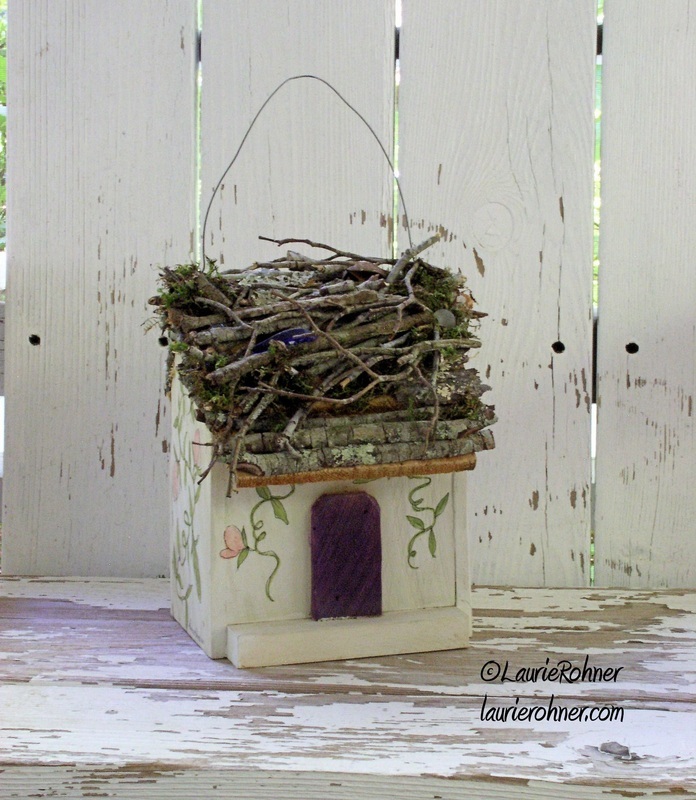 The front has a purple fairy door but the back has an opening for a small bird family too. 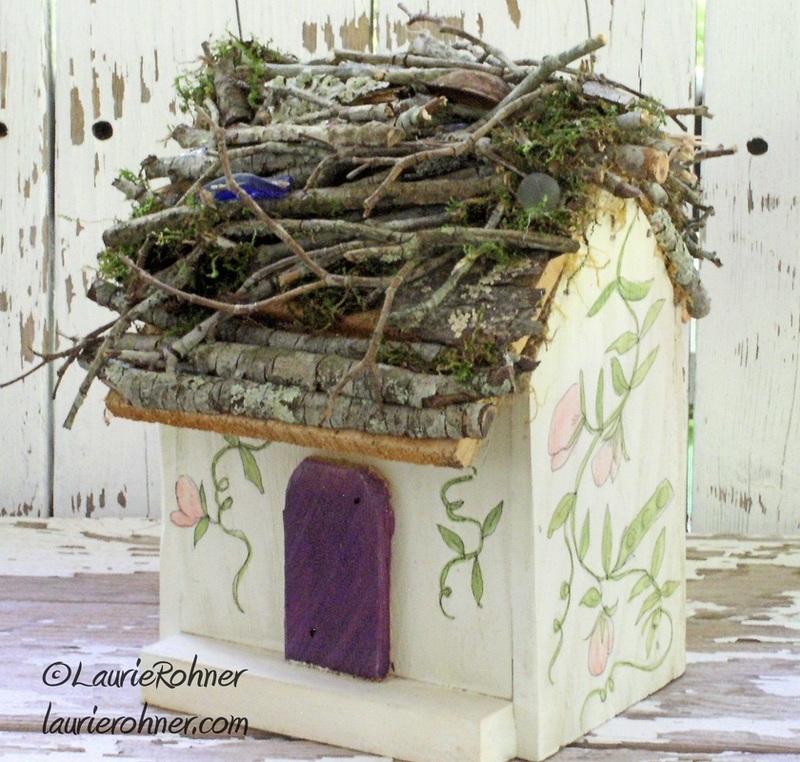 The roof is twigs and mosses attached to a cedar shingle roof. The house is made out of cedar and pine. 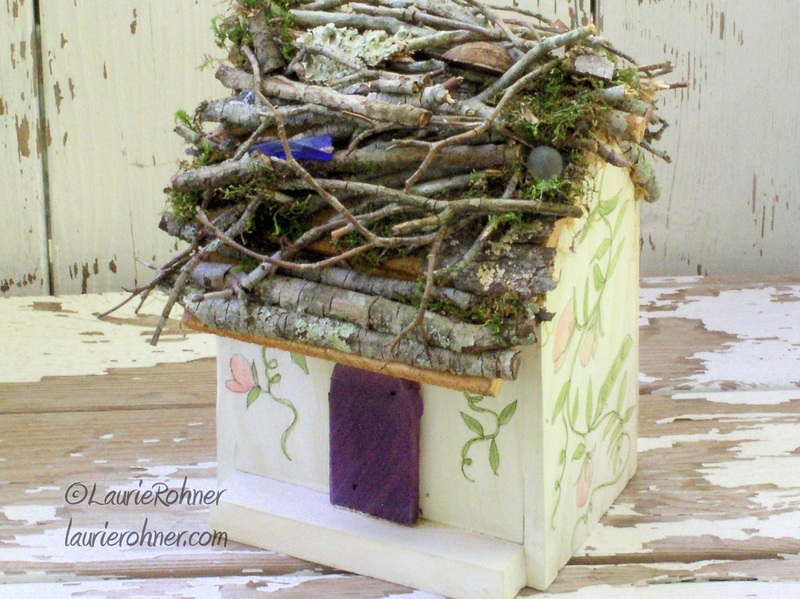 House size: 7 1/2 x 7 1/2 x 9 inches tall standing, hanging 14 inches tall.